Maybe that optimism comes from science fiction. After all, if there are no extraterrestrials, there isn’t much of a mission for the Starship Enterprise or job openings for Vulcans. Fiction aside, many scientists agree that the cosmos is undoubtedly sprinkled — perhaps liberally sprinkled — with life. Even sentient life. This is an uncertain business but not a new one. In 1961 astronomer Frank Drake devised a simple equation for estimating the number of “technically active” societies in our galaxy. That bit of easy math is known as the Drake Equation, and it’s often said to be the second most famous formula in science (the first being Einstein’s E = mc2). If you look up the formula online, you’ll see that it takes into account the odds that there are habitable planets around other stars, the likelihood that life will arise, and the probability that biology will occasionally evolve to produce clever beings. But even without wrestling with the Drake Equation, we can use similar reasoning to gauge the plentitude of alien societies and how close the Klingons might be. We start with recent research showing that one in six stars hosts a planet hospitable to life. No, not one in a million. One in six. So let’s take that number and run with it. Next we have to make a few assumptions. In particular, if you were given a million Earth-size worlds, what fraction do you think would ever beget technically sophisticated inhabitants? Life on our planet began quickly: random chemical activity in 350 million trillion gallons of ocean water spawned a reproducing molecule within a few hundred million years. So maybe biology doesn’t need much of a goad to get started. I don’t think it’s unreasonable to figure that at least half of all planets suitable for life actually produce it. Intelligence is less certain. The dinosaurs were a good design but didn’t do well in school. But let’s say that one in 100 biology-encrusted planets eventually coughs up some thinking beings. And, as per Frank Drake, let’s also assume that any Klingons out there continue to hang out for 10,000 years before self-destructing (nuclear war, anyone?) or meeting some other woeful end. Do the arithmetic, and you’ll find that one in 100 million star systems has technically adept inhabitants. That’s not much different than the fraction of jackpot tickets in this week’s Powerball lottery. 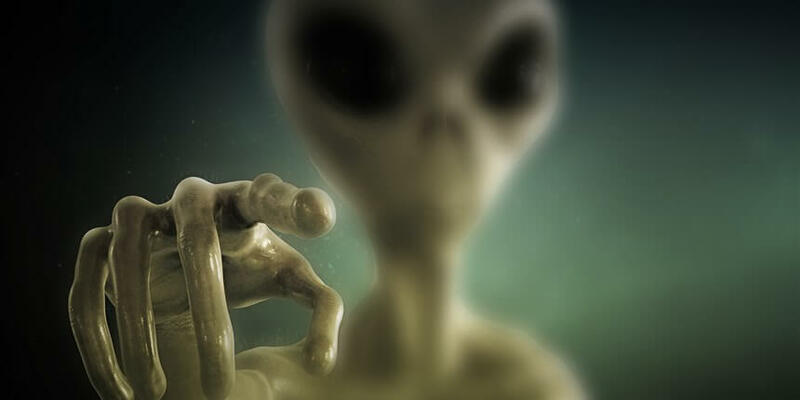 So how close are the nearest signaling extraterrestrials? If we’re going to pay good money to fire up the warp drive and visit some bumpy-headed aliens, how far do we have to travel? Well, the average distance between stars in our part of the galaxy is 4.2 light-years (the distance to Proxima Centauri). That is, for every cube of space that’s 4.2 light-years on a side, you’ll find (on average) one star. Now imagine a bigger box, 2,000 light-years on a side. It will contain 100 million star boxes, and one sophisticated civilization. By this rough and ready calculation, the nearest aliens are probably between one and two thousand light-years away. In other words, no closer than the three bright stars of Orion’s Belt. Sure, alien neighbors might be farther — or closer. But this order-of-magnitude estimate tells us that they’re not next door. They haven’t heard our news reports, and they’re not likely to have any incentive to visit. They simply don’t know we’re here. By the way, we probably aren’t going to visit them either. Today’s fastest rockets would take at least 20 million years to get there, by which time you’re going to be awfully tired of on-board pretzels. Yes, the aliens are likely around, and 10,000 societies could inhabit our galaxy (not to mention those other galaxies!) They’re not close. But they may be discoverable. That’s why we continue to search the sky for radio signals launched into the ether long ago by our cosmic brethren.